There are currently 90,644 users on this website. Hey American friends of the South! 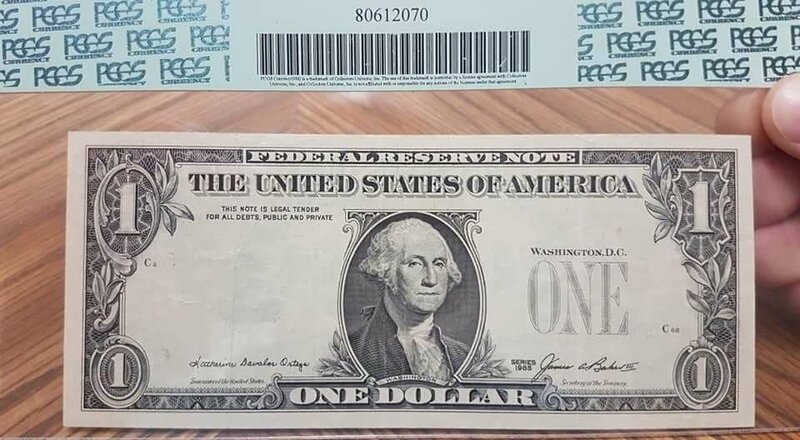 I am looking to purchase this 1985 Overprint note and I would love some opinions as to a rough value for this note. Any help would be appreciated! Check eBay,there are some up for sale. 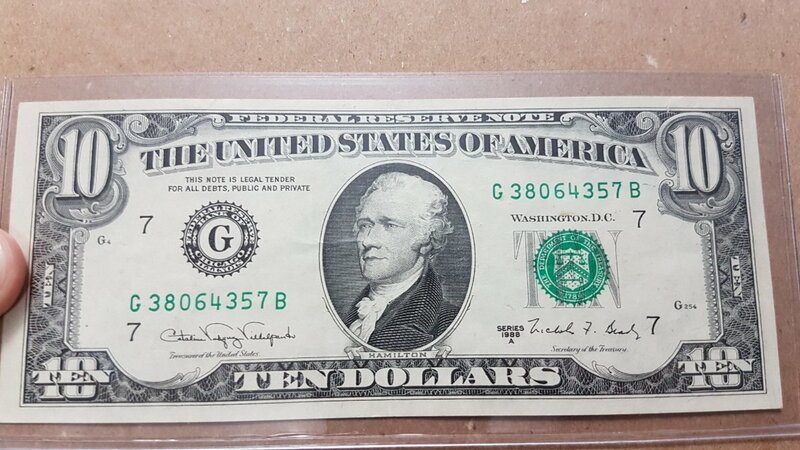 I also have this upgraded $10 over print. 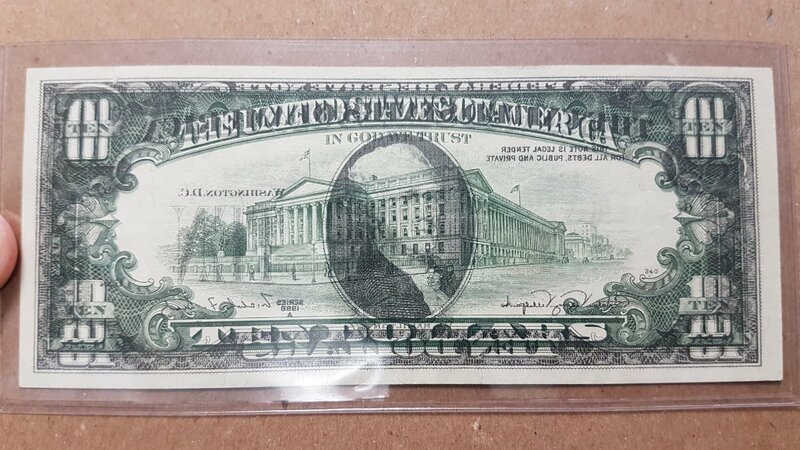 Anyone have a value for this? 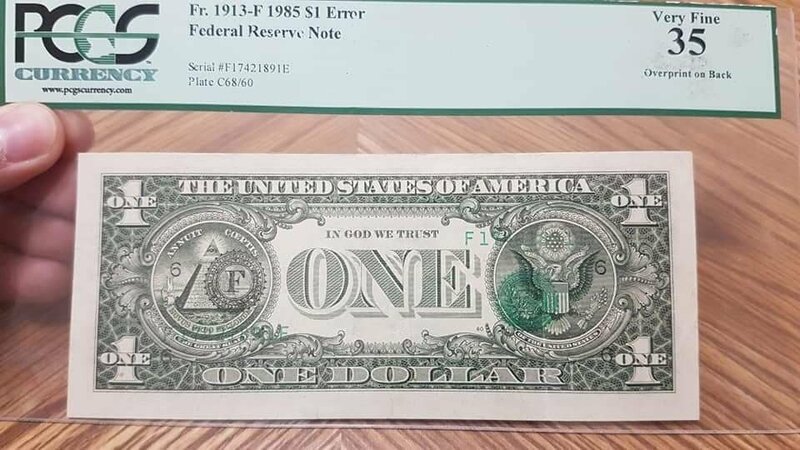 eBay sold listings and/or Heritage Auction archives will show what similar notes have sold for in the past. Those are great errors, especially the George. It's odd to see a note without seals/SNs. As far as value, eBay would be your best bet. If you have a Haritage account, you can also browse their auction archives to see if they have sold anything similar recently.